Ngaire Trevena - 64 of Auckland, New Zealand - recently had one of her legs amputated below the knee due to diabetic complications from an infected toe which she picked up while volunteering in the Philippines with Meaningful Volunteer. Having one leg hasn't slowed her down though. 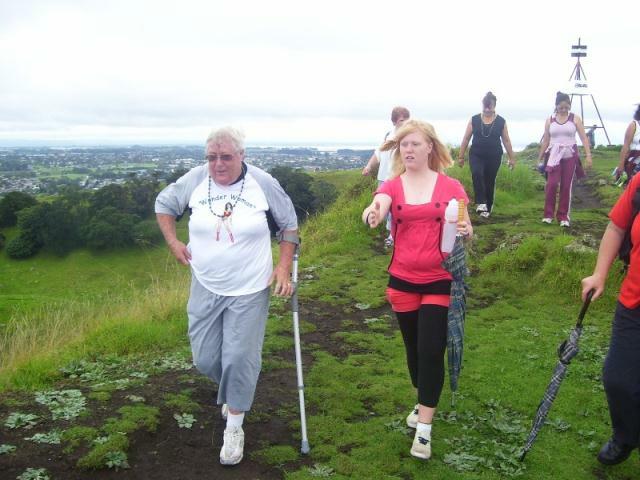 Both as a personal challenge and a fundraiser for Meaningful Volunteer, Ngaire decided to walk up Mangere Mountain. 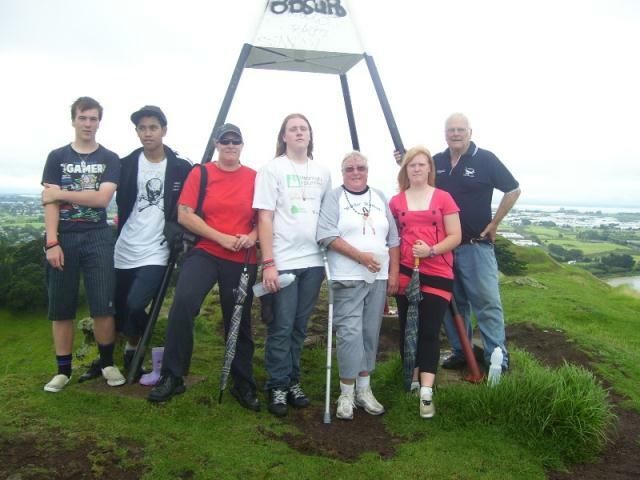 It started with just Ngaire, but it ended up with twenty-five or so people walking up the mountain with her. 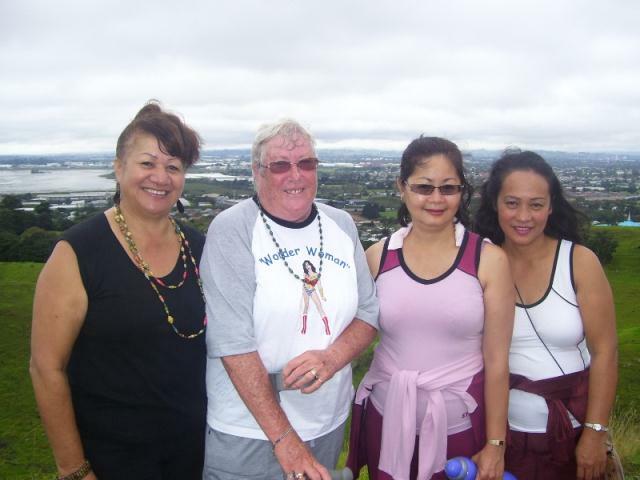 Ngaire and her companions conquered the mountain! 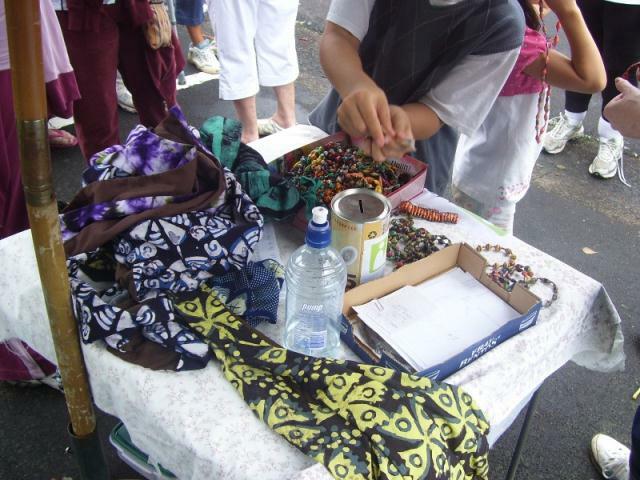 The walkers also bought several fair-trade items from the Meaningful Shop. 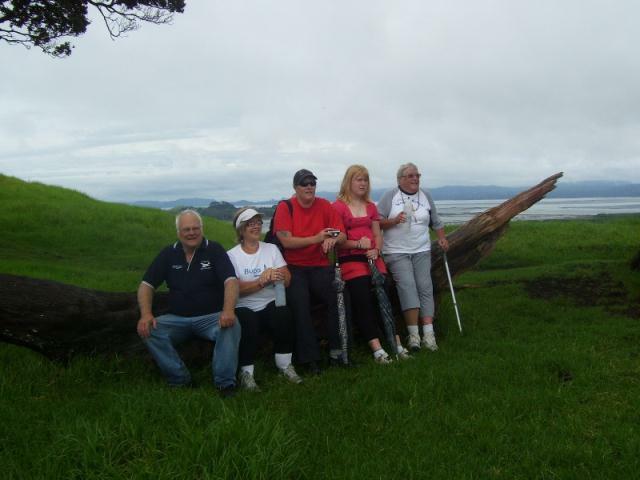 Ngaire's story has been picked up by several magazines as well, including That's Life magazine and various diabetes-focused and amputee-focused publications. Together with donations gathered on the day and magazine royalties, Ngaire has raised over $1,000 for Meaningful Volunteer. This money will be used to help build a solar-powered school in Uganda. Max Trevena - Ngaire's 67 year old husband - will help build the school. 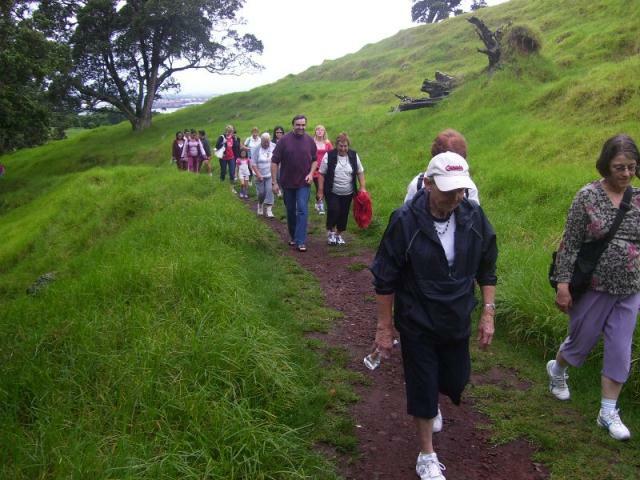 Check out all the photos from the walk below.